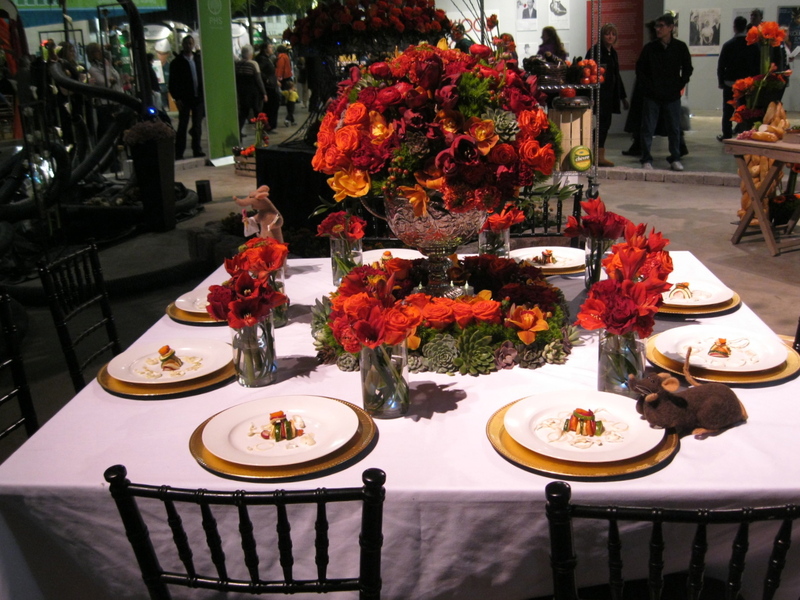 My mother and I celebrated her birthday a month early with a trip to the Philadelphia Flower Show on Saturday afternoon. 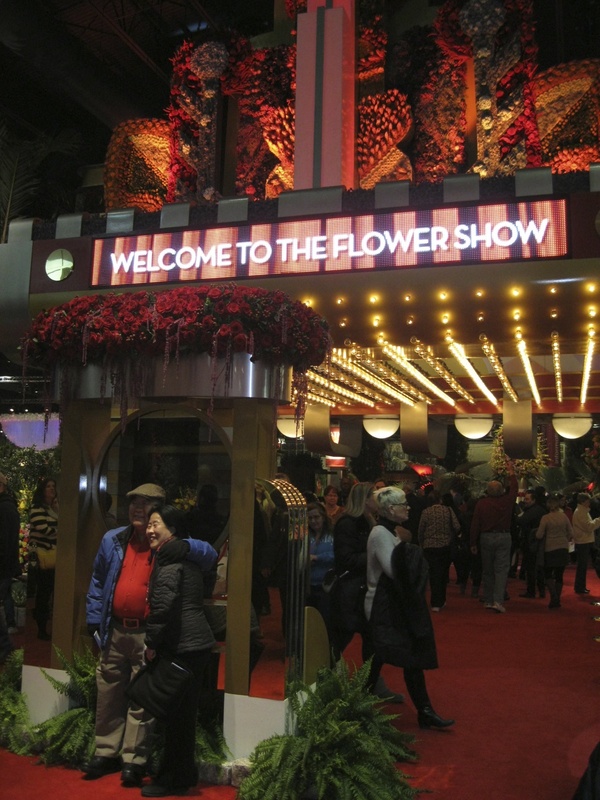 This year’s Flower Show theme is “Celebrate the Movies,” so the entrance is done up as a movie premiere, with a marquee and red carpet—and the smell of popcorn wafting through the air. Disney is a major sponsor of the show this year, so the exhibit designers were instructed to design displays inspired by [Disney] movies, but not directly replicate scenes from them. So, for example, we saw a classical Chinese garden (Mulan) and a treehouse in the jungle (Tarzan). 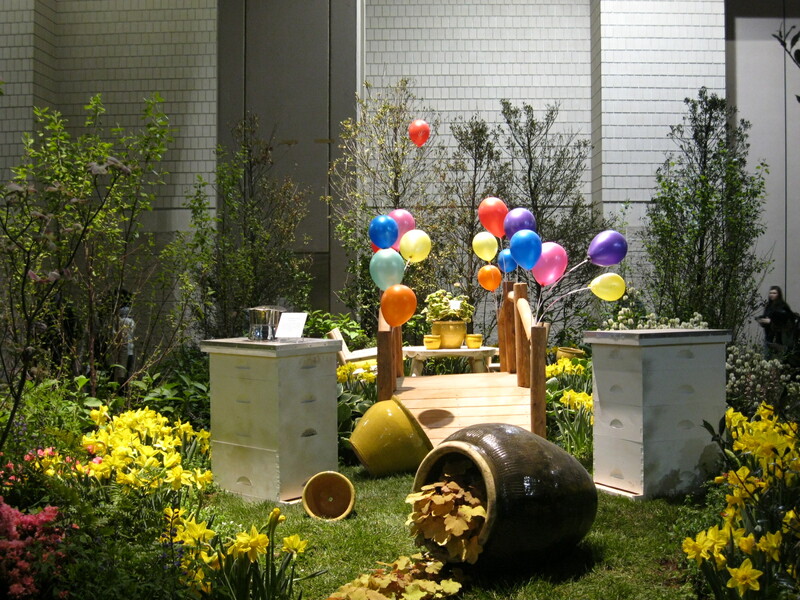 “Pooh’s Hunny Depot” had honey (“hunny”) pots serving as planters and featured the bridge where he and Piglet played Poohsticks. 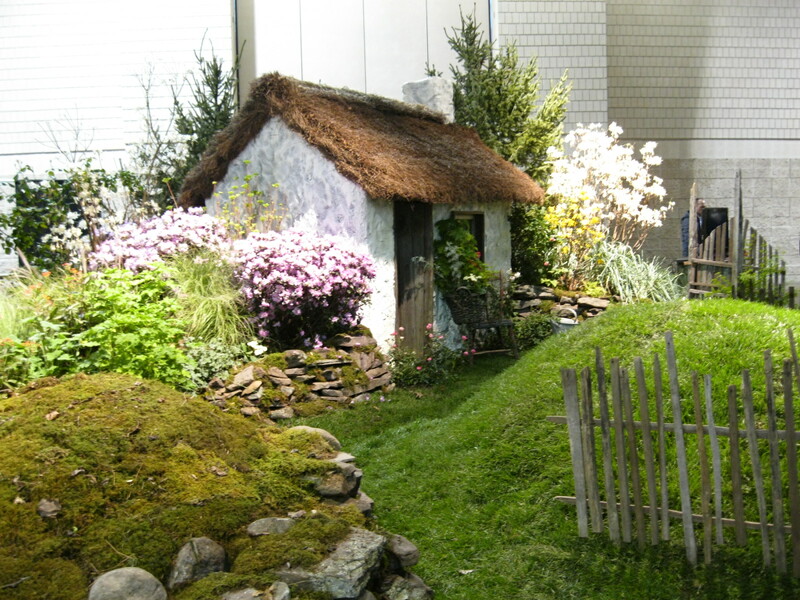 I liked this little Irish cottage, but needed the placard to tell me it was inspired by The Quiet Man. Several people around me were guessing it was Lord of the Rings, but it couldn’t be—LOTR isn’t a Disney property. There are rules, people. 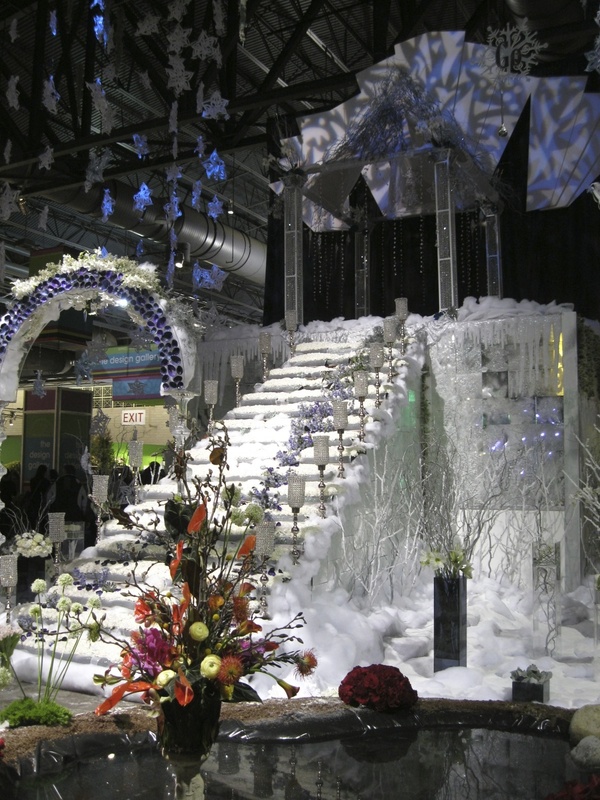 One of the centerpiece exhibits, of course, was the Frozen display, which depicted winter spreading out from Elsa’s ice castle over the rest of Arendelle. The exhibit seemed so empty, though—we felt like Elsa should have been walking down the staircase. 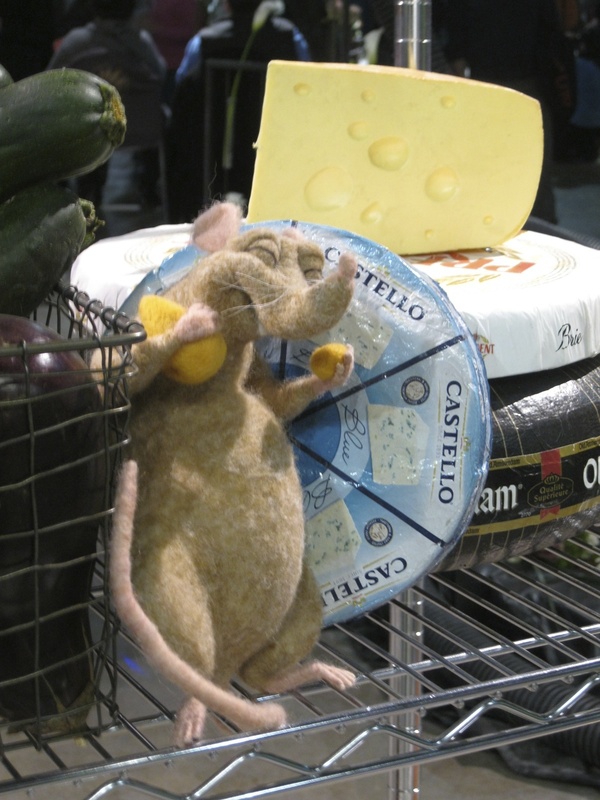 … and lots of stuffed rats. There were also many smaller exhibits: table centerpieces inspired by movies set in Philadelphia; hats decorated with flowers; shadowboxes of scenes from classic films; pictures of cartoon characters made from pieces of dried flowers (those were done by area school students, who are amazingly talented). But when all was said and done, my favorite exhibit had nothing to do with the movies. 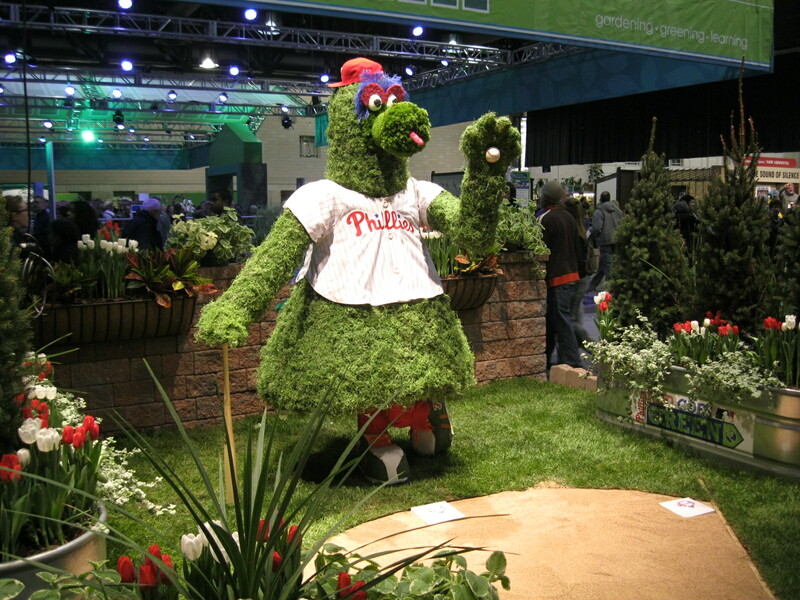 It was the topiary Phillie Phanatic. I’m looking forward to seeing the real thing in action soon; unfortunately, it’s usually more fun to watch the Phanatic than the actual Phillies. Mom and I spent a long time strolling around the Marketplace, where vendors were hawking every good under the sun to sell: jewelry, clothing, garden decorations, gardening tools that will revolutionize your life, life-size statues cast to look like your family. Mom remarked that the Marketplace was like how she imagined a medieval fair to be—a lively scene with stalls offering a mixture of useful stuff and fun junk. We had planned to walk across the street to Reading Terminal Market after the show to get cannoli at Termini Brothers, but discovered that the market had come to us. 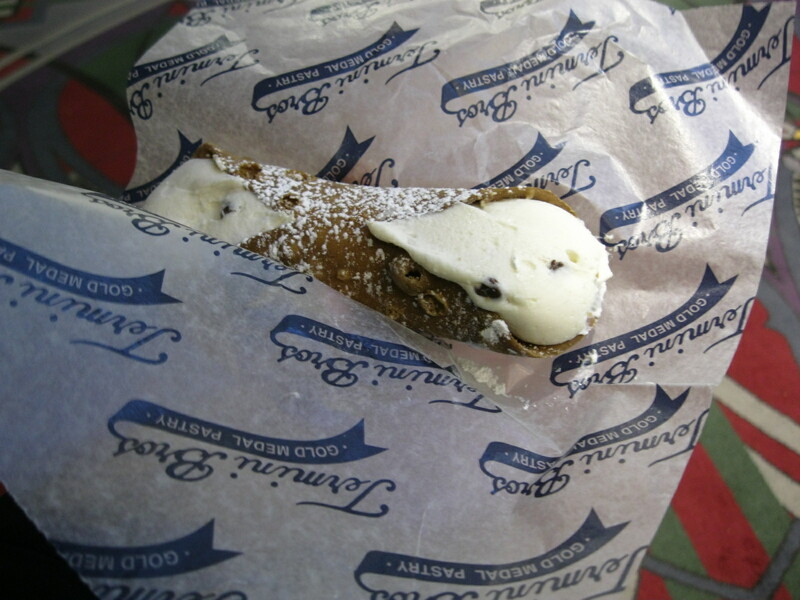 Terminis and several other Reading Terminal vendors had set up stands inside the Flower Show, so our cannoli were only steps away. Unlike visits to Longwood Gardens, going to the Flower Show isn’t an “every year” sort of thing for either of us; in fact, although both Mom and I have been to the show with others from time to time in past years, I’m pretty sure we haven’t gone together since I was in elementary school. I’m trying to start a new tradition, because it’s really a nice way to spend an afternoon in the depths of winter—and makes you believe spring might one day arrive.